Note: To install XEBEC 1210c on your system, access the Drive Type Table that corresponds to your on-board BIOS and select your drive type. 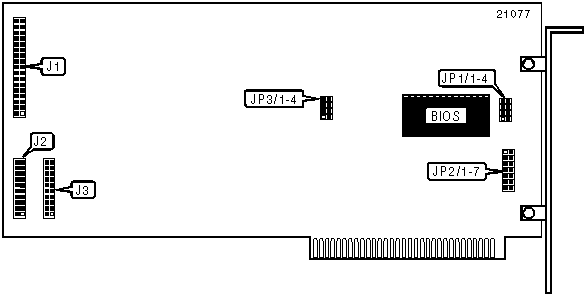 Set drive type jumpers JP3/1-JP3/4 as indicated and use the ROM address to access the BIOS Address Selection Table. JP2/1-JP2/7 jumpers should be set according to this table.